If you desire to run for one of the offices, or would like to nominate another member to be on the ballot, email Dennis Kranyak at President@markettechnicians.org with the name of the candidate and office for which they desire to run so that they may be placed on the ballot. Nominations for inclusion in the ballot must be received prior to November 30, 2017. There will also be space on the ballot for write in candidates. 2018 elections will take place at the December 7th meeting. Those members not able to attend the meeting will be able to vote via email. Email ballots must have a time/date stamp prior to 7:30 PM, December 7, 2014 in order to be counted. Election results will be posted on the SMT website. If you are not current on your dues, please pay your dues prior to the start of the December meeting, either in person or on line, so that you may vote. After the election, we will again conduct a book auction from selections in the SMT library. 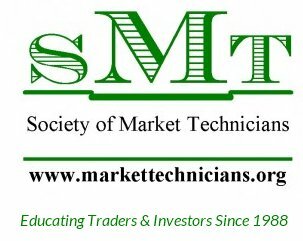 Members are encouraged to review the SMT library on line and suggest titles they wish to bid on.